The annual Amateur Radio Field Day is at hand. (June 22-23, 2013) It is held the 4th weekend in June here in North America. Other regions have similar exercises on various dates. This has been going on since 1933. There are well over a thousand stations that will be operating around the region with participation by over 30,000 amateur operators. The long awaited anniversary certificates are posted. On the list your call signs will be links (in orange) to a printable (10X8in) PDF file. You should be able to easily view and print by just clicking the link. The Awful Awful Ugly Net web page has been created and is growing. To view the 21st anniversary certificates just follow this link. The Arkansas State Championship Duathlon “Du for the Parks” is on Memorial Day at the Transportation Depot, 100 Broadway Terrace. The “Du” involves a two mile run, followed by a 12 mile bike ride and another two mile run. The Spa Amateur Radio Association helps with communications for this event every year. We are looking for volunteers to help with the event. Those that participate will get a free t shirt. This year the time is one hour earlier. People need to be registered by 0630 Monday May 27 at transportation depot if they want a shirt. The race will begin at 0700. Please pass the word. People may contact me if there are questions. 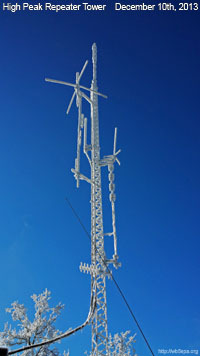 Contact JM Rowe for further details at n5xfw (at) arrl.net or on the 146.88 repeater in Hot Springs. The Awful Awful Ugly net turns 21 today! Jump on 3855 khz and say hello. All check ins will get a certificate for participation. Check back here for further details.